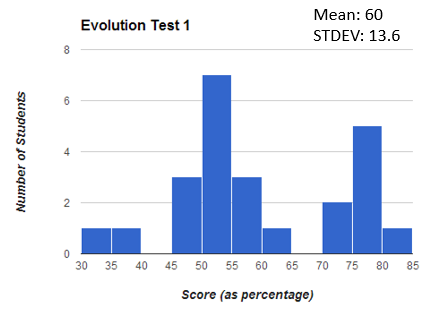 Here are the results from the first evolution exam. What are some different interpretations of this data? Does this look like a normal distribution? Click here for links to different presentations reviewing the quantitative skills required in AP Bio.